Grants made through donor-advised fund accounts hit an all-time high of $12.49 billion in 2014, a 27-percent increase from 2013’s $9.83 billion. Donor-advised fund accounts, which refer to irrevocable, tax-deductible contributions administered by a charitable sponsor with grants recommended by donors, accounted for 7.6 percent of all individual giving and 5.5 percent of all gifts to charities in 2014. The number of donor-advised fund accounts increased by 8.8 percent during the past year, to 238,293, according to the National Philanthropic Trust’s (NPT) 2015 Donor-Advised Fund Report. Private foundations, by comparison, increased in number by 3 percent from 79,616 to 82,045, according to the report. Charitable remainder annuity trusts decreased during the past year by 7.7 percent, from 13,494 to 12,459. This year’s report was based on data collected from more than 1,000 foundations and charities from July 1, 2014 to June 30, 2015. • The average account size climbed to $296,701, a 13.7-percent increase compared to 2013’s average of $260,626. 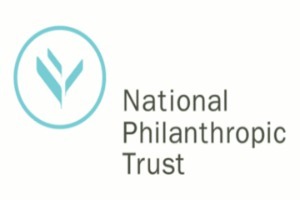 Eileen Heisman, CEO of NPT and author of the report, attributed the growing popularity of donor-advised fund accounts to the ease in setting one up, as opposed to the time and oversight associated with establishing a private foundation. Donor-advised fund accounts can often be set up and managed online, Heisman said, a perk considering the growing popularity of online banking. “You can create a formal giving vehicle that will last for generations within a day and fund it in a couple of days,” Heisman said. She also credited financial service companies’ creation of charities for changing the conversation around giving. Several such companies, including Fidelity and Goldman Sachs, are included in the report. Heisman acknowledged that, despite outnumbering private foundations nearly three to one, donor-advised fund accounts possess just one-tenth of the assets. Private foundation payouts hover at about 5 percent however, according to Heisman, while donor-advised fund accounts’ payouts have consistently been more than 20 percent, including 21.9 percent in each of the past two years. For a copy of the full report, visit: www.nptrust.org/daf-report.